So I get asked a lot, “how do I get my toddler to eat more greens?”, and to that I say, smoothies! Smoothies are such a great way to sneak greens into your child’s diet if they are picky about eating their veggies. Thankfully Jack loves all food, if you've seen his neck rolls they speak for themselves. 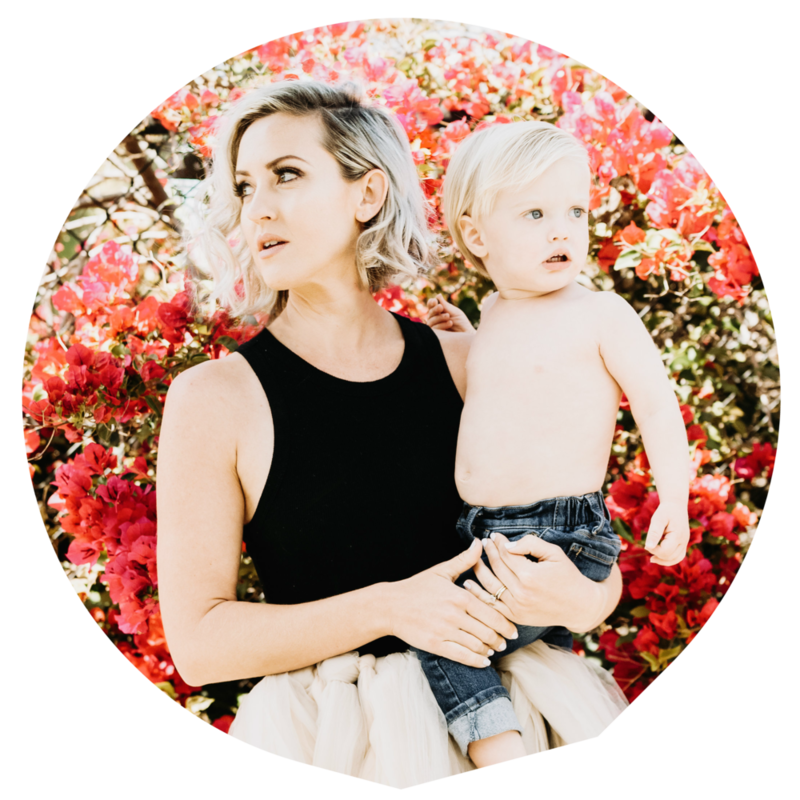 I came to a point with Jack (who is 14 months) where I wanted to pack a ton of nutrients into one meal or snack. I'm kinda OCD about hitting all the food groups and vitamins in a day. As you know we do not do dairy you can read why here, so I make him a smoothie each morning with his plant-based milk, Ripple is the brand. I've found that my 5:30am wake up call(thanks Jack) has me feeling a little mushy in the brain function department. With that said, a premade smoothie bag is life saving and super healthy!! I have 3 recipes for you to try but honestly you can do any comb you like! I almost always add a tbsp of peanut butter to Jack’s smoothie for a healthy fat, and he loves the taste. These smoothie bags are so easy to make, all you need to do is pick up some zip lock bags and some fruit, and greens of your choice. I chose swiss chard, but spinach or kale will work just fine. Here are 3 of my go to recipes. When it comes time to make the smoothie add your non dairy milk and the contents of the bag to a blender, and blend. Enjoy! Peach and swiss chard: ½ large peach, 1 large swiss chard leaf (½ cup greens), ½ banana. Put into a zip lock bag and stick in the freezer. Strawberry banana: 5 strawberries, ½ banana, and 1 leaf of swiss chard (½ cup greens).Put into a zip lock bag and stick in the freezer. 1 tbsp peanut butter, ½ banana, and ½ cup of greens. Put into a zip lock bag and stick in the freezer.